Ever seen a sparkly dinosaur? You have now. 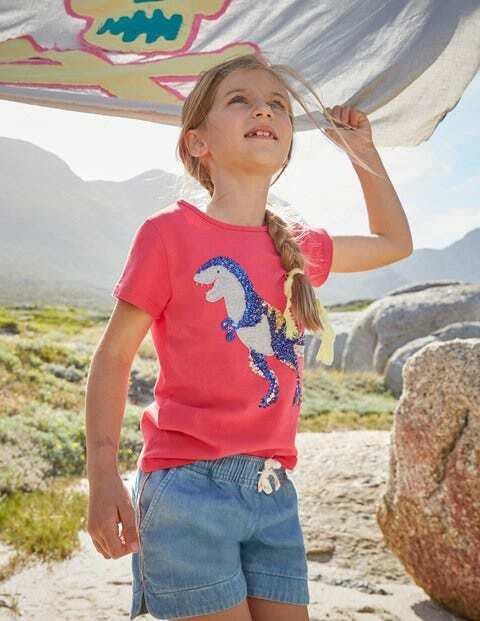 The sequin-osaurus plays a starring role on one of our super shiny tops, but if Jurassic sparkle's not your thing, fly off with the shimmering hummingbird design. Beneath all this excitement lies a classic crew neck tee in supersoft cotton, perfect for everyday adventures into the wild.